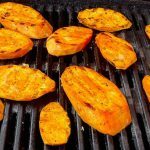 Ok, ok…so I love sweet potatoes and I try all kinds of ways to use them: puddings, breads, shakes, fries, whipped with organic butter and salt––but this is one of my favorites. These are great as a snack or a side, and just so yummy. I had to put a dollop of my Foolproof Mayo With a Zing on top. Its up to you but these are so delicious alone with the smoky grill flavor and a hint of nutty walnut and smooth flavor of roasted garlic. Just great. Let me know what you think! Heat up the grill! to medium! Place the garlic, oils, salt and pepper in a small bowl. Mash the garlic and mix the ingredients until blended. Parts of the garlic will be hanging around, don't worry, They will be grilled on the potatoes. Place the sliced sweet potatoes in a bowl and put the oil mixture over the top and mix well. 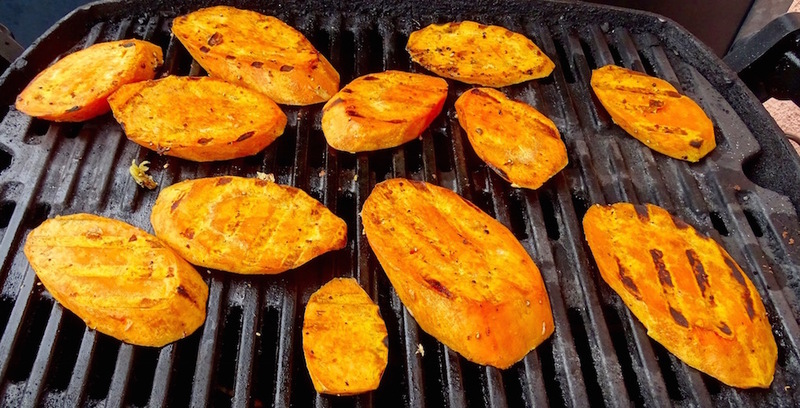 Place the sweet potato slices on the grill and cook for 4-6 minutes. Flip and cook for 4-6 minutes or until your fork goes in and comes out easily. Remove and dab a bit of Horseradish Mayo on top or eat as is! *Rosted Garlic Tip: Whenever I turn on the oven I try to optimize the heat! So I always throw in a whole clove of garlic with the 1st layer of skin removed and the top sliced off about 1/8 down. I keep these roasted garlic bulbs in the fridge for months!!! OR if you don't have them ready for this recipe, use 1/2 tsp of fresh pressed garlic instead. **If you don't have walnut oil,take 1/4 cup of walnuts and put them in your food processor with 1/4 cup olive oil or macadamia oil. Blend until smooth. Use 1 Tbsp of this mixture and store the rest in the fridge in an air tight jar. 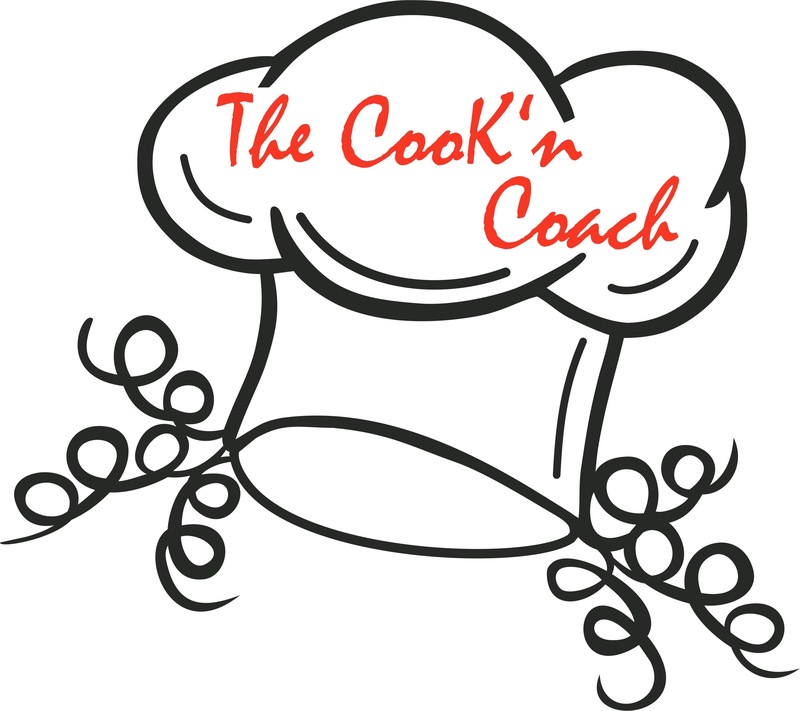 Be sure to cover the top of the mixture with a table spoon of olive oil so it is protected. Use this for salad dressings or marinades!